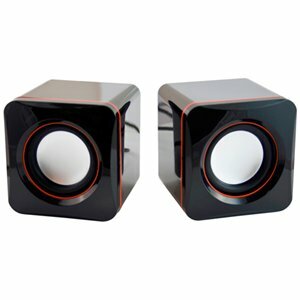 These small form speakers from Sumvision are a great way to listen to your music or watch movies on the move. Each speaker is roughly the size of a DVD and due to this they can be powered by USB alone, making them a perfect companion for any tablet, netbook or laptop! Each speaker is finished in a glossy black finish and feature rubber feet pads to reduce surface vibrations, delivering a quality sound for the size!